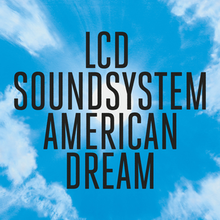 The return to making music of LCD Soundsystem after seemingly having retired might seem like a bit of a cliche, but this album shows more than just a cashing in on past glories. Think of the famous parting with the Madison Square Garden concert as more of the end of a chapter than an ending, and you will be more prepared for the album that follows. It is classic James Murphy & Co., without being a classic album. Starting off with a semi industrial pounding, what follows on the intro track “Oh Baby”, is a modern Manhattan lullaby, as soothing and warm as it is brutal. Following on from this is “Other Voices”, and a return to the sound that LCD fans will remember, and have always loved. There are squalling guitars over a calypso-esque rhythm track, and the now instantly recognisable half-sung-half-spoken vocal stylings of James Murphy, the beating heart of the Soundsystem. “Change Yr Mind” is a solid track, in so much as it has a solid groove, the sung-spoken narrative of mercy, and squealing guitars yet again. There is something a little “Fame” era Bowie about it, but equally Talking Heads too. “Emotional Haircut” is another noteworthy addition – it is witty (especially the “emotional haircut” refrain), and has a little bit of a funky-rock swagger to it. The strongest track of the set though must be “Tonite”, which rests on a bassy acid squiggle, and some of Murphy’s finest lyrics to date. The strange thing is, the titular track I don’t get on well with at all. Something about the tempo and wishy-washiness of it all make it seem like a bad 1980:s rock ballad – I rarely skip tracks, but this was close. So, a welcome return for a great band, it’s as though they never went away.